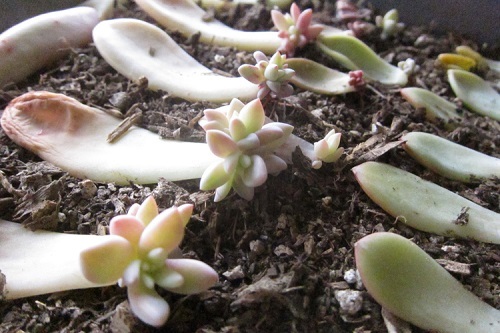 To start your own summer garden with succulents, you will need atleast one plant to start propagating. Pruning succulent plants helps them grow, so go ahead and ask your friendly neighbor for a few leaves from her plant. Pinch off a few waxy leaves from the plant you have in mind. Make sure that you get the entire leaf off the stem. The leaf will not grow roots if it is snapped from the middle. You can also cut about 2 inches of the stem instead of just the leaves. The succulent leaves and stem that you have collected need to dry completely before replanting. The drying process will help the leaves to callous over. If planted directly without drying, the leaves will absorb too much moisture from the soil and will rot. Leave the leaves out in a shady area for a week to dry out. Once the leaves are dry, place them over potting soil. In about a week new roots and baby plants will start sprouting. The leaves do not need much moisture so water only once a week. The baby plants will take in their nourishment from the mother leaf. In another couple of weeks you will notice that the mother leaf has started to wither and dry. Once it is completely detached from the new baby plant, you can remove the baby plant from the soil and plant it in its own pot. 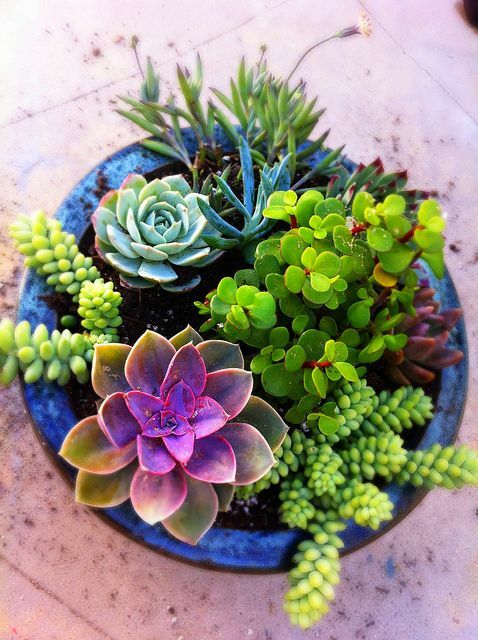 Succulents should be placed in plenty of sunshine. Water these when the soil starts to dry up or atleast once a week. 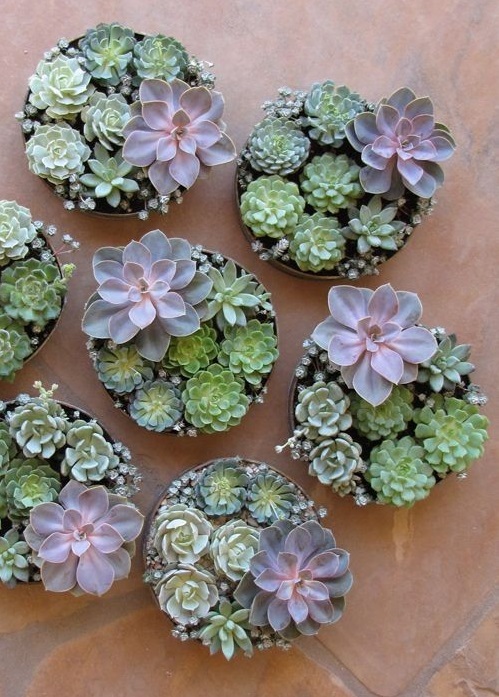 Succulents make great gifts for friends and family. 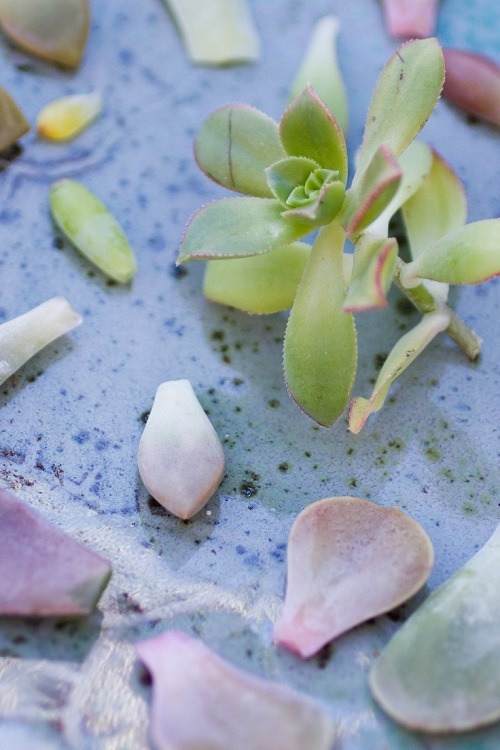 You can also create an indoor terrarium with your new baby succulents. Summer gardening with succulents is fun and free. For more succulent care and gardening tips on Stagetecture, click here.